W M Automotive services independent auto parts jobber stores in Texas and Oklahoma daily. With over 165,000 square feet of distribution center space to pull from, our order fill rate is consistently among the best in the industry. Orders are processed and shipped the same business day so our customers can routinely offer Next Day service on special order parts. If interested in letting us help you grow your business, please contact sales@wmautomotive.com or 817-834-5559. 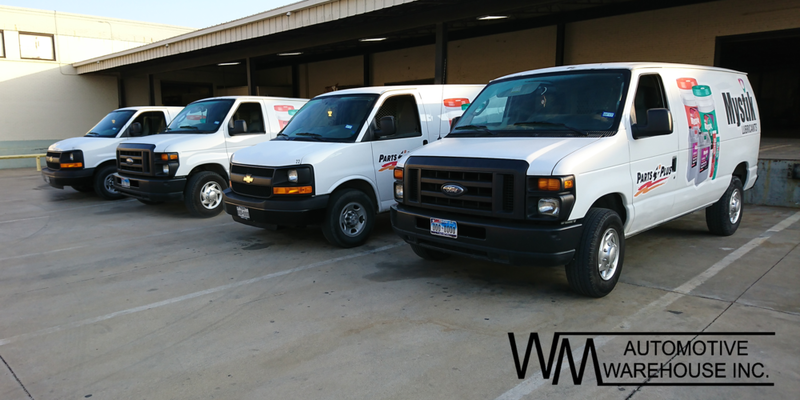 Our vehicle fleet services additional areas roughly bounded by the borders of Kansas, New Mexico and Louisiana.